The Overlap Sheet Pile, is designed to be used as a means of temporary closing off an open side of a trench shield. Overlap design allows for easy installation of the sheets. 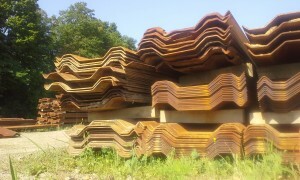 The 3/8” thick Overlap Sheet Pile is available in lengths from 10’ to 24’.